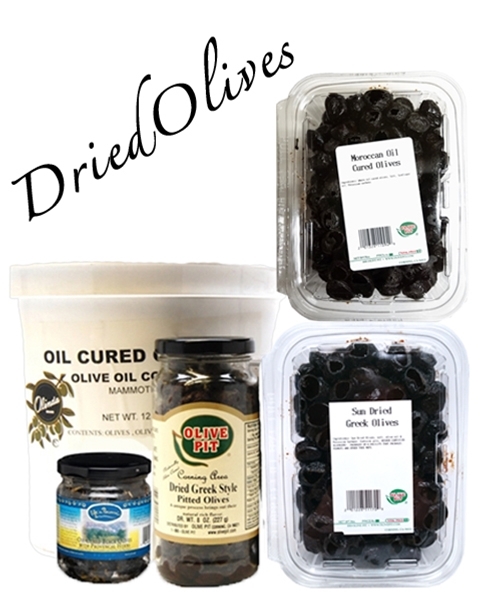 Dried Olives Greek Style: These olives are dried and cured in olive oil and salt in the Greek style for a distinctive and memorable flavor. Available in 1.75lb Tub or 12 lb. pail. Life in Provence Olives - Cured Black Olives with Provencal Herbs: Delicious French olives made with fresh ingredients create a robust flavor. Serve as appetizers, along with cheese, salads or to garnish fish, chicken & meat. Black Oven Baked Olives - Italian Olives are cured in salt and oil. Serve as appetizers or toss in any bread or other recipe to add a unique flavor. Serve them with stuffed grape leaves or try our "Spaghetti with Olive Sauce" recipe. Life in Provence with an "e" - excellent flavor, moisture - delicious. My husband and I made a weekend trip to Corning, for years we used to go up and down the I-5 corrider and not stop. We planned this weekend exclusively for the Olive Pit. Everyone in the store were outstanding, you could taste everything! S love the olives! Down to 2 left and will be ordered more, along with dipping oils and flavored olive oils. Nothing tastes better than garlic flavor olive oil, in the greek olives, with a little more garlic for flavor, have a loaf of FRESH french bread, my husands family is Italian, we used to sit, tear a piece of bread and eat the olives as appetizer. My mother in law made them from raw olives, 4 weeks of work, you do it for us, and amazing! Its fun to play around with the flavors. I do like the non-pitted, unsure if curing causing more salt in the pitted, but you can soak and rinse and dry a little. I'm not complaining, I am so hooked, now that it is winter, won't be back til spring, but thank heaven for website. Emailing soon! Love it! on 4/19/2011 The best for years running! I have been purchasing the tubs of these for years, since we first visited the store in Corning. We were blown away at the great price and they keep really well. Perfect texture and not too salty like some can be. We just LOVE them! on 11/12/2009 Sun Dried Greek Olive! They are wonderful! I use them in salads, pasta dishes or as a appetizer with other olives and veggies. Really tasty! try chicken sauted in olive oil,dried olives and sun dried tomatoes served over rice.